Unfortunately, that first place division standing can dramatically change in next 10 games because 6 of the Spurs’ next 10 opponents currently have a winning record, which includes tough teams like Golden State and Milwaukee just to name a few. It doesn’t even include the Houston Rockets, who came into the season with high expectations and could turn things around anytime. Three of the next 10 games are against division opponents too. Key losses could plummet the Spurs down the standings, so hopefully they can find some consistency on defense that will also translate toward the win column. 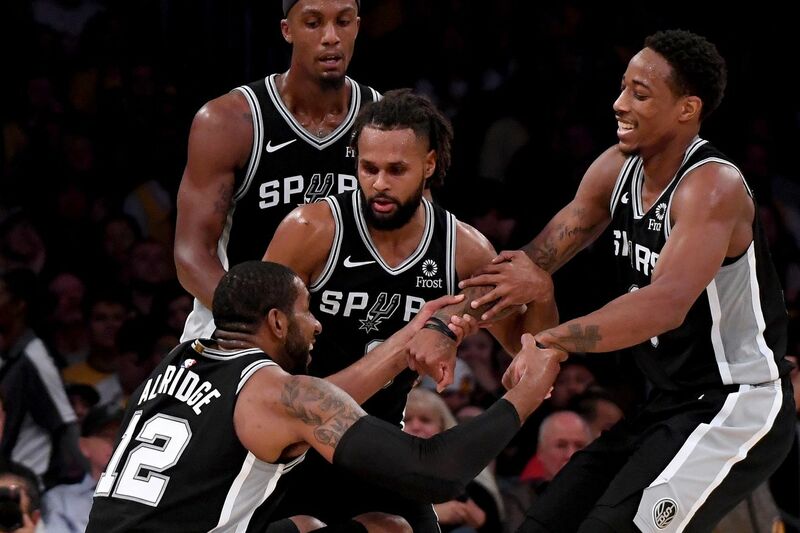 Given the huge roster turnover due to trades, free agency, and retirement, the Spurs’ current record is both a pleasant surprise and a springboard to higher expectations. Of course, way (way) before any realistic dreams of a title aspiration or even conference title aspirations, we should first look at the Spurs’ realistic chances at claiming the Southwest Division. What do you think Pounders? Who is the biggest challenger to the Spurs in the Southwest Division? Will it be the Memphis Grizzlies’ patented Grit ‘N Grind style, Anthony Davis and the New Orleans Pelicans, the slow-out-of-the-gates but talented Houston Rockets, or the long-shot Dallas Mavericks who may or may not already be in lottery-tank mode?